CBAP mock tests changed my perception of online resource material. It is sleek and powerful. 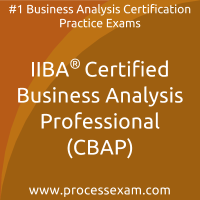 I am grateful to the people who thought of this concept to help aspirants like me to clear the Certified business analysis professional certification exam. 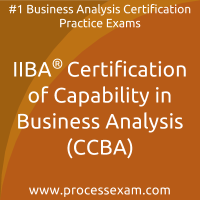 I am proud that i chose the right resource material to clear IIBA Certified Business Analysis Professional certification exam. With more than 475 selected questions, practicing for IIBA CBAP certification exam became all the more easy and simple. I cleared successfully.